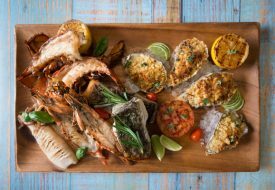 With the success of The Lobby Lounge’s Heritage Lunch Buffet, the restaurant extends the indulgence of perennial local favourites with the launch of six signature dishes available during breakfast. 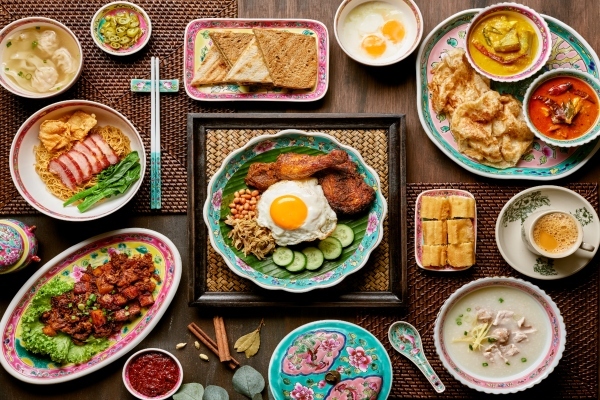 The authentic Singaporean breakfast spread showcasing national breakfast favourites, such as Nasi Lemak, Roti Prata, Soft-Boiled Eggs with Kaya Toast, Wanton Mee, Carrot Cake and Hainanese Porridge. 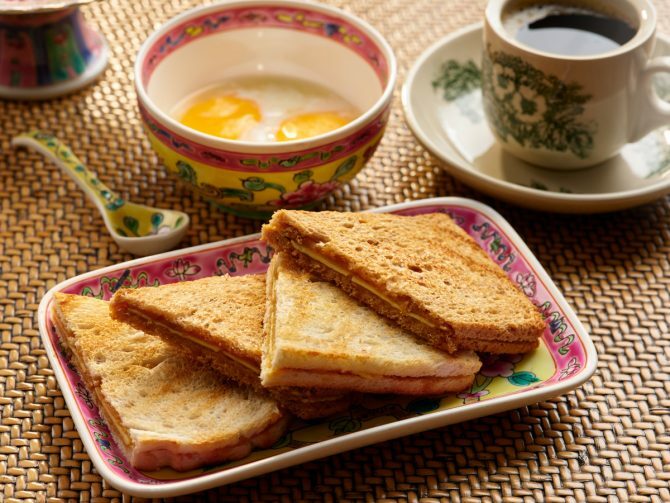 The breakfast menu is curated by local food advocate Dr Leslie Tay, and also saw the collaboration with popular local food brands, The Coconut Club and Springleaf Prata Place, to showcase their respective signature recipes for Nasi Lemak and Roti Prata. 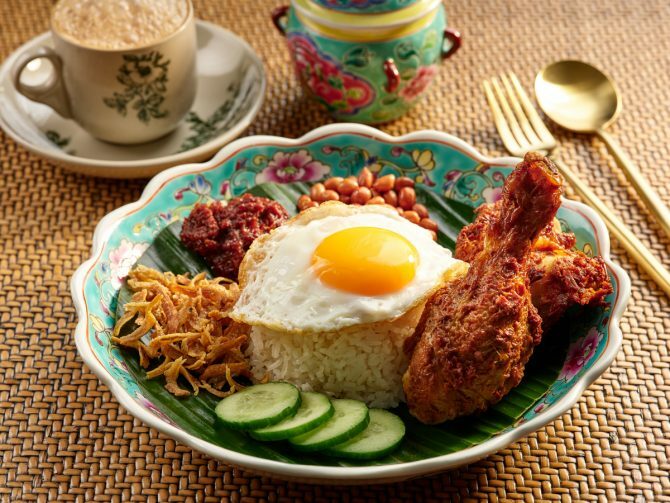 A Michelin Guide Bib Gourmand Singapore 2018 awardee, The Coconut Club is renowned for its Nasi Lemak ($19.00) –jasmine rice infused with the fragrance of fresh coconut milk and served with crispy anchovies, peanuts, fried egg, sliced cucumber and sambal chilli that offers a real kick. The dish is completed with a serving of spice-marinated chicken deep-fried till crisp and golden-brown. Springleaf Prata Place, famous for its Roti Prata with Dhal Cha and Fish Curry, features its hand-stretched dough, fried with ghee for a fluffy centre and crisp outer layer. 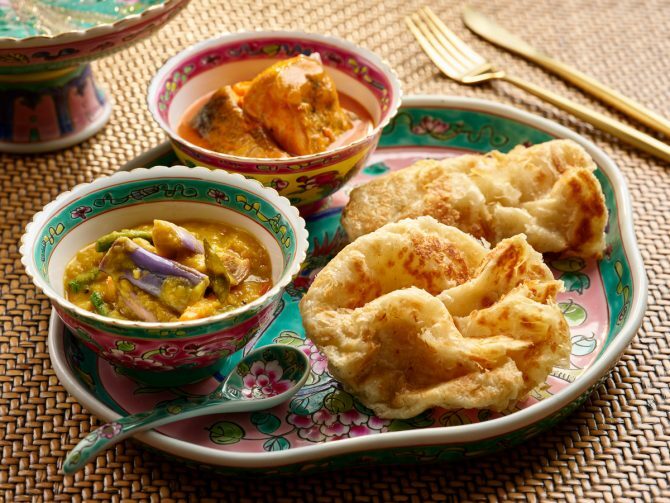 We loved how we could satisfy our Prata cravings right there at the buffet! 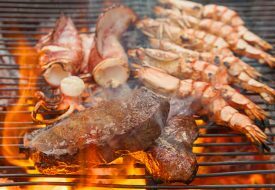 The six signature breakfast dishes can be ordered from the à la carte menu or enjoyed as part of the weekend buffet. 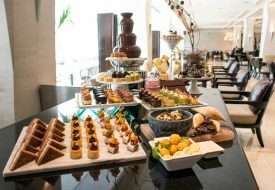 The buffet line also features other iconic dishes from the local cuisine, including Tiong Bahru Jian Bo Shui Kueh’s signature Shui Kueh; Ah Yee’s Soon Kueh; HarriAnns’s Yam Cake and Tau Suan;and Lina’s Confectionary’sKueh Lopes with gula melaka syrup. The Signature Breakfast at Lobby Lounge is available a la carte or in the local breakfast buffet at $29.50 per pax on Saturdays, Sundays and Public Holidays from 7am to 11am.